Heroin is among the drugs known as "hard" drugs. The good news is that, among teenagers, heroin use is in decline. Among young adults, the number remains relatively stable, with a very slight increase. Even though heroin use remains stable - or is even going down - it is still important to recognize the fact that plenty of people still use heroin. 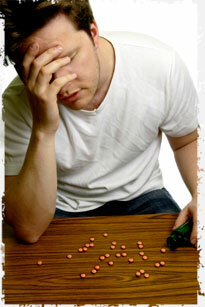 The Centers for Disease Control (CDC) reports that teenagers reporting heroin use in their lifetime is declining. Amongst 12th graders, the number has come down from 3.0 percent in 2001 to 2.0 percent. The total number of teenagers that report using heroin in their lifetimes has dropped from 3.1 percent to 2.4 percent since 2001. This shows progress. According to the National Survey on Drug Use and Health (NSDUH), teenagers have reasonably easy access to heroin. 29.7 percent of 12th graders say that it is easy to obtain. Even 8th graders (12.6 percent) say that they can obtain heroin. However, there are other drugs, such as prescription drugs and marijuana, that are much easier to obtain than heroin. It is encouraging to note that many teenagers recognize the risks of heroin. The NSDUH found that 87.8 percent of 12th graders agree that heroin substance abuse represents a "great risk." The fact that so many teenagers recognize the dangers of heroin use is encouraging, and could lead to further declines in teen drug use of heroin. Amongst young adults and college students, heroin use is not seeing the decline it has in teenagers. Perhaps this older age group feels the risks are acceptable. A slight increase in heroin users in college students is seen - from 0.1 percent to 0.2 percent. Additionally, in young adults, those reporting that they have used heroin at least once in their lifetimes has increased from 1.7 percent in 2005 to 1.9 percent. It is a small increase, and one that shows that heroin substance abuse among young adults is stable, and perhaps growing slightly. According to NSDUH information, in the last year about 91,000 persons over the age of 12 used heroin for the first time. Amongst recent first time heroin users, aged 12 to 49, the average age was 20.7. This indicates that many heroin users wait until they leave their teenagers years to begin using the drug. 3.8 million people (1.5 percent of the population above 12) say they have tried heroin at least once in their lifetimes. 560,000 people used heroin last year. 338,000 people used heroin last month. The rate of heroin lifetime heroin use is higher among those in prison (23.4 percent for State and 17.9 percent for Federal). Even though heroin use isn't terribly widespread, it still represents a threat. The devastating effects of heroin overdose and prolonged heroin use, along with its addicting nature, can be very damaging and put strain on loved ones of someone involved in heroin substance abuse.